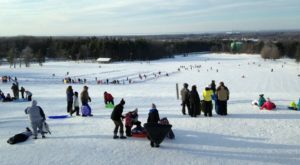 When winter weather finally rolls around and takes over Buffalo, we often like to head to places like Chestnut Ridge to enjoy a day of sledding – or even tobogganing. 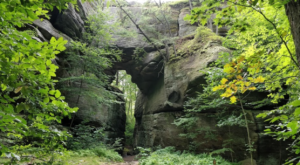 If you’re looking to go for an adventure down a bit of a bigger hill though, you’ll have to travel just outside of the city to experience some of the best seasonal thrills. 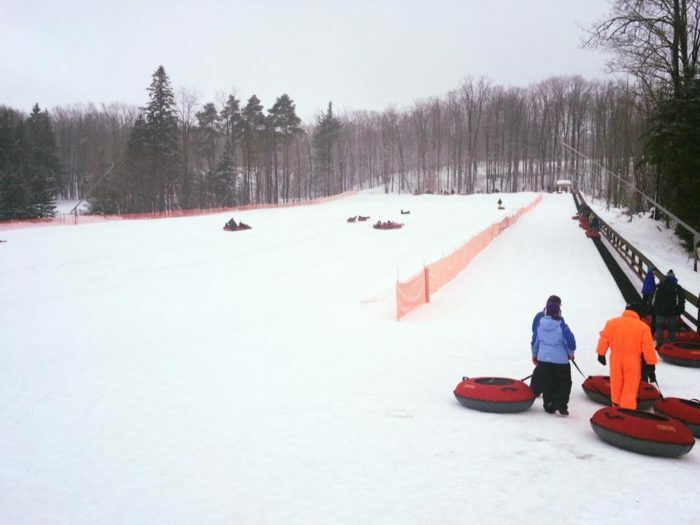 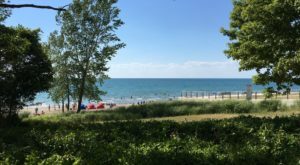 If you’re ready to spend the day snow tubing at one of the country’s most underrated parks, it’s time you start planning a trip out to our state’s westernmost corner! 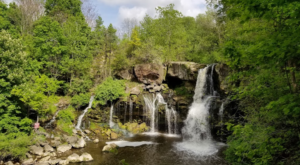 Pack your favorite snacks and a thermos full of hot chocolate; we're hitting the road and heading to Chautauqua County. 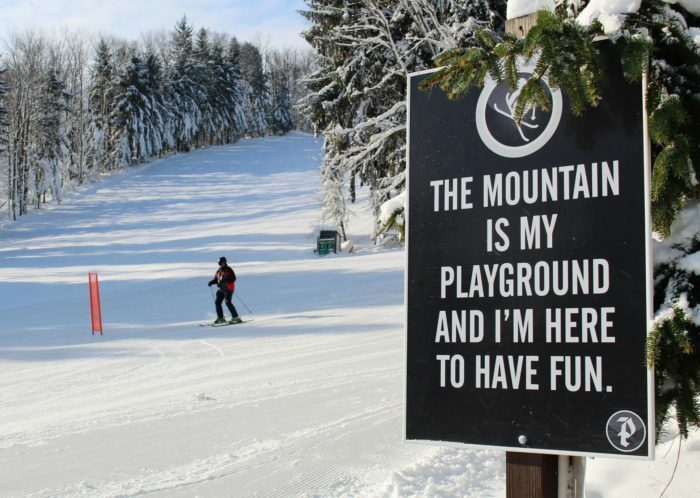 Right in the heart of the town of Clymer, Peek'n Peak Resort has been open since the winter of 1964 and is a total winter playland for visitors of all ages. 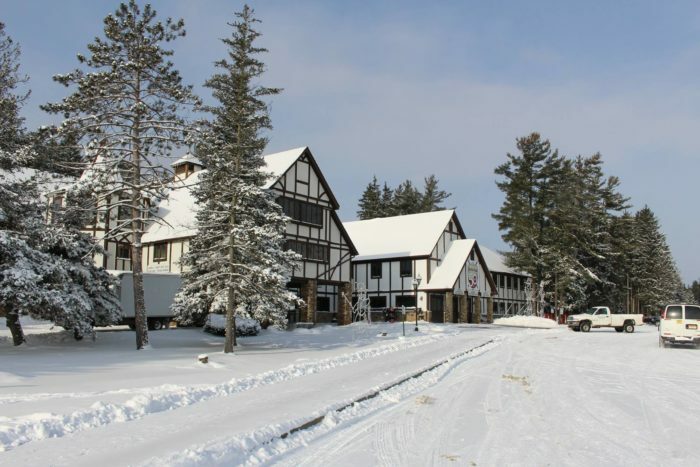 Located in New York's snowbelt, Peek'n Peak Resort has been known to see over 200 inches of snow each year, making it the ultimate place to visit if you want to enjoy winter activities like snow tubing. 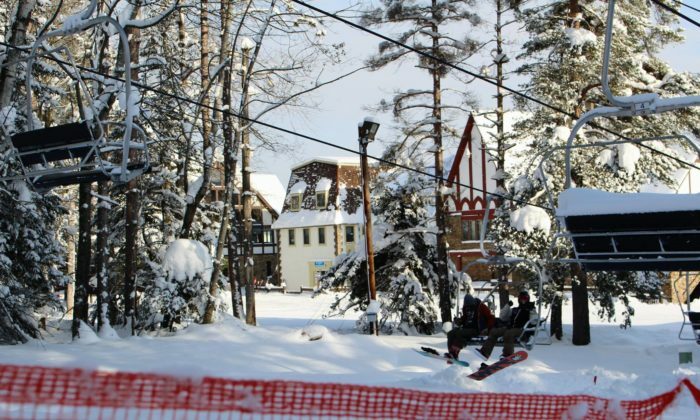 The resort has its own snow tubing park, with seven lanes of fun and a magic carpet lift that will bring you to the top of the hill. 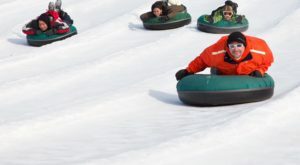 But this year, the park is featuring something spectacular: Cosmic Tubing! 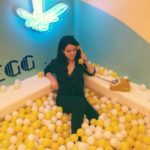 This nightly event at the park is illuminated by thousands of ever-changing LED lights and projection lights cast down upon the snow, fading, pulsing, and dancing along to the sound system that plays music. 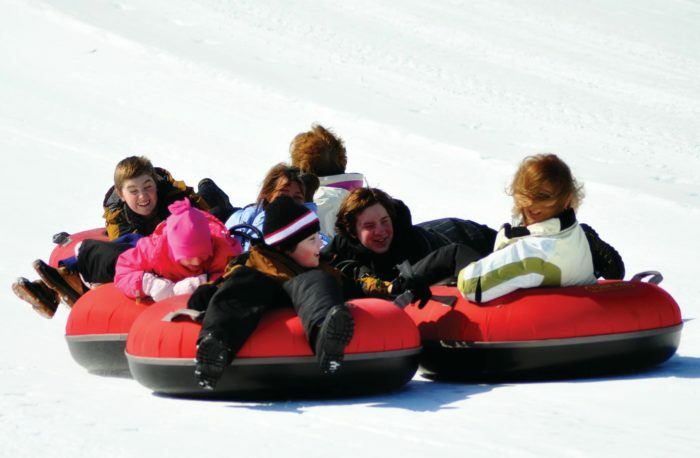 Whether you want to enjoy a day full of snow tubing or are ready to crank things up a notch and enjoy Cosmic Tubing, there's never been a better time to visit Peek'n Peak Resort! 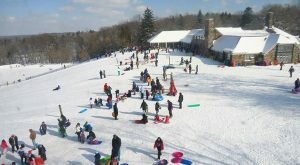 Peek'n Peak Resort is located at 1405 Old Road, Clymer, NY 14724 and is open for the winter season! 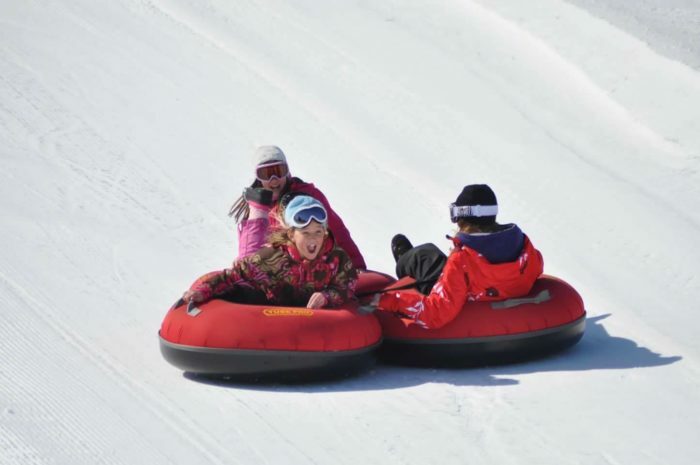 To find out more about the snow tubing park and Cosmic Tubing, click here. 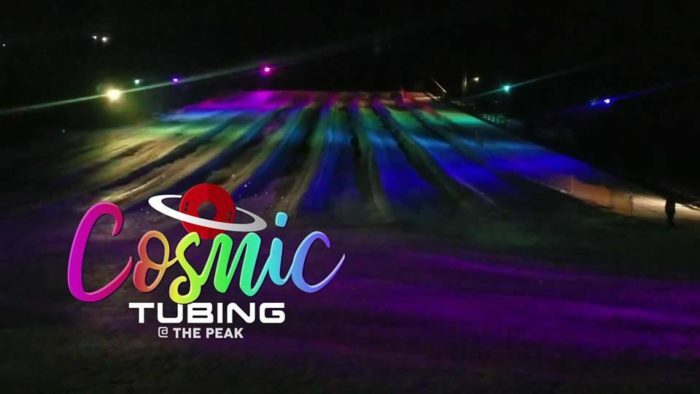 Did you know that cosmic tubing was being featured this year at Peek’n Peak Resort? 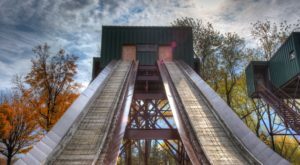 For more winter adventures, check out The Mountain Coaster Ride Near Buffalo That Will Make Your Winter Unforgettable!